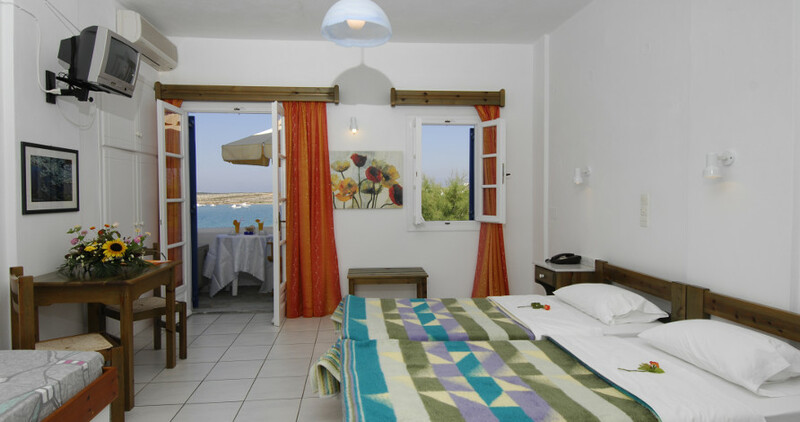 Enjoy comfortable accommodation in fully equipped apartments and studios in Paros! At the Captain Nicolas Hotel, you will enjoy carefree and refreshing accommodation in one of our 18 spacious and fully-equipped Paros studios and apartments, the perfect retreat after a day at the seaside or an exciting night out in the centre of Naoussa. Baby cots are provided upon request at the Captain Nicolas Paros Apartments & Studios in Naoussa. In order to make a reservation for accommodation at the Paros Hotel Captain Nicolas studios and apartments in Naoussa, it is necessary that the amount of two days stay be prepaid via credit card. We accept all major credit cards (Visa, MasterCard, Amex). Please inform us of the credit card type, the number, the holder's name and the expiration date. Please contact us for other types of payment if the above does not suit you.